Could we cram anymore on the cute illustrated card?! Let's face it, there are tons of resolutions we make every year but fail to keep. But the point is, we try! From getting organized, reading more to volunteering or learning something new, the New Year is definitely the time most of use to start something anew. 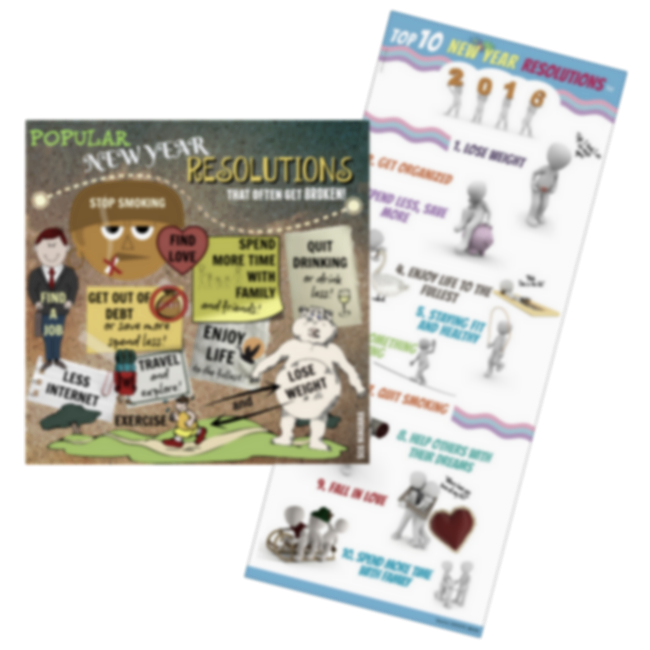 The top resolutions we often break vary according to who you ask but the most popular ones are compiled and illustrated below. Plus check out the top 10 resolutions from 2016! Olivia again? Yup! 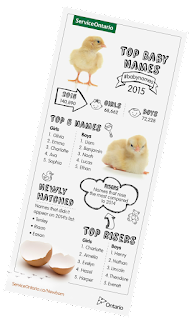 According to Service Ontario, Olivia was the most popular baby name in Ontario in 2015 - and five years in a row! For boys, it was Liam that took top spot. Brand new names added to the list this year includes Tenley, Riaan and Eason. It also seems like old is becoming new again with such names as Hazel, Everett, and Theodore slowly on the rise. Ontario's most popular baby names are slowly changing, with new names rising up the list. Charlotte and Henry are the fastest-rising baby names, with Henry rising 83 times and Charlotte 105 times their previous popularity. 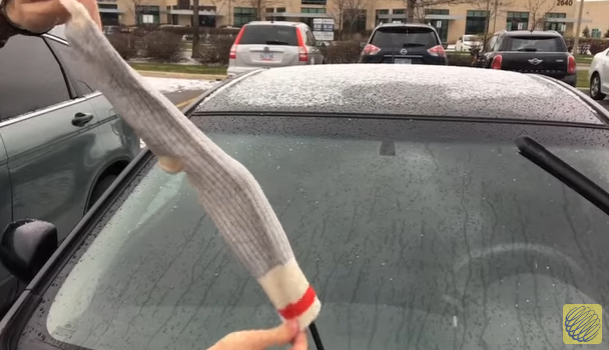 Should you be putting your wipers up during snow? Why do people put wipers up before a winter storm? A few ways you can stormproof your wiper blades this winter season. NIAGARA FALLS — The Mannequin Challenge seems like something that’s tailor-made for Niagara Falls. With its numerous wax museums populated with movie stars and the famous — or sometimes infamous, real people frozen in poses seems, well, natural. And it seems a lot of people agree. The organizers of Niagara Falls Comic Con answered the call for the challenge currently sweeping the Internet all while promoting the annual event that draws thousands to the city each June. 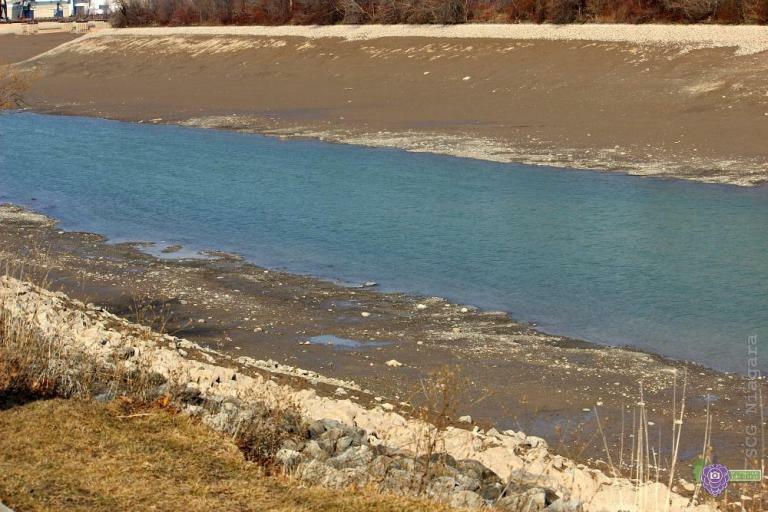 The call was put out for cosplayers to gather at Table Rock for the challenge, and the resulting video has taken off. A video of the challenge posted to Niagara Falls Comic Con’s Facebook page Saturday night has already generated 120,000 views and shows no signs of slowing down. Mannequin Cosplay Challenge at Niagara Falls – Must See! 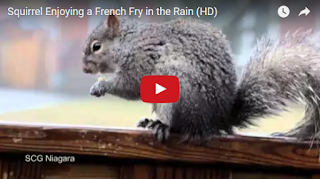 “The idea was to come up with a video in response to all of the other mannequin challenges on the Internet, but we wanted to do something a little bit different,” said Chris Dabrowski, who came up with the idea and produced the video. “Including more than 15 cosplayers from Princess Leia to Deadpool, from Thor to Eleven (Stranger Things), we think we accomplished that goal. And what better backdrop for a video than Niagara Falls,” he added. It was only 4 people that were interviewed but interestingly enough, the women were more-or-less for Trump - while the men were most definitely for Hillary. Yay! Our very own Wesley Klassen from St. Catharines created the winning $1 coin design for The Royal Canadian Mint's "My Canada, My Inspiration" contest. The contest which launched in March 2015, invited Canadians across the country to create new designs for a 2017 circulation coin series honouring Canada's 150th anniversary - a once-in-a-generation event for all Canadians. 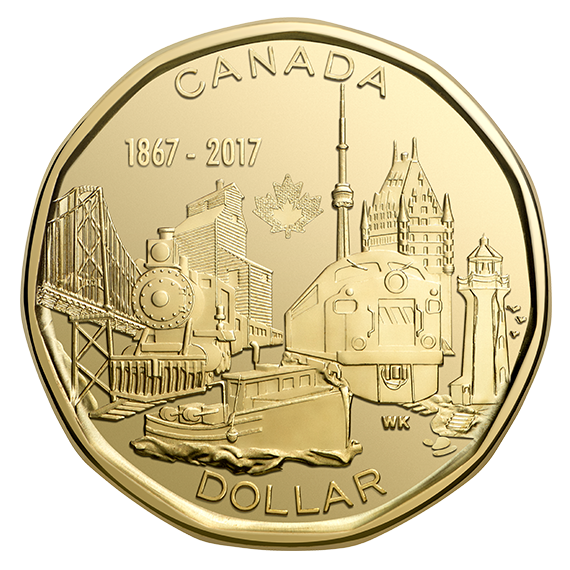 Now 50-year-old Klassen's winning design will not only be in the pockets of Canadians everywhere next year, but it will also be part of a collection of collectible coins, exclusively for 2017. What an honour! 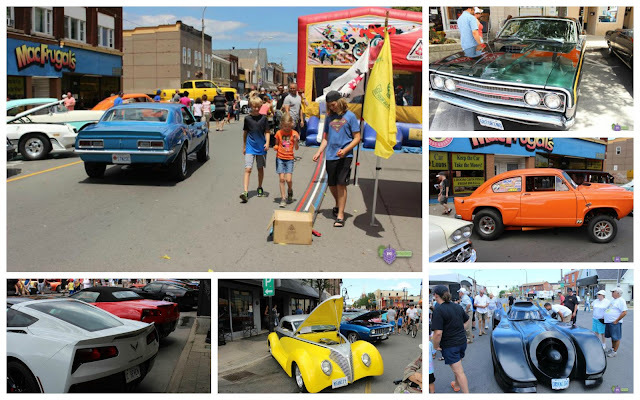 A hyper-lapse video around downtown St. Catharines with hyperlinks showing mini-videos of then and now photos. Just click on a link when it pops up to reveal another (short) video showing a before and after photo of that place! 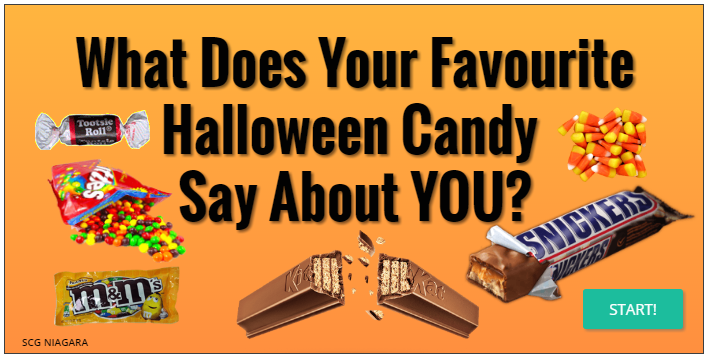 PERSONALITY INSIGHTS: What Does YOUR Favourite Halloween Candy Say About You? We all have our favourite candies - especially during Halloween time. What's yours? I have two - KitKat... and M&M's. One's not too sweet but still yummy and the other has a light, crispy candy shell coating that you bite into to reveal a delicious milk chocolate filling. Now that you know what my favourites are, what are yours? Maybe you only have one. 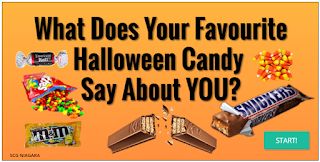 Use the interactive banner below that I've created to reveal what your favourite Halloween candy say about you! After more than two hundred years the significant sacrifices and contributions made by First Nations during the War of 1812 will be permanently recognized. 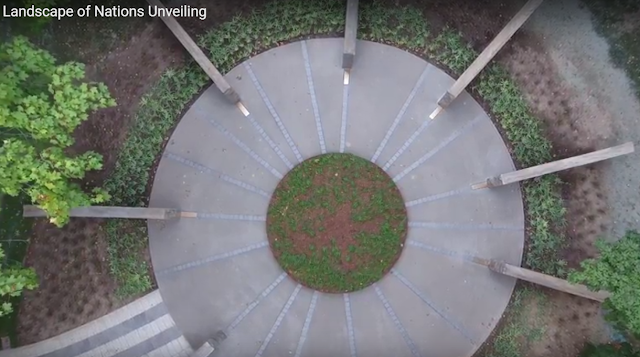 Landscape of Nations: The Six Nations and Native Allies Commemorative Memorial, a public artwork of deep meaning, exquisite beauty, and power was unveiled on the historic battlefield in Queenston Heights Park on Sunday, October 2, 2016. While Americans typically use the word “fall,” the British use the word “autumn,” though both terms date around the 16th century. Before these terms, the period was called “harvest. The word autumn came into general use around the 16th century, replacing the name harvest for the whole season. Autumn is derived from the French, which came from the Latin autumnus, the Roman name for this season. Fall is a Germanic word that also came into use around the 16th century. 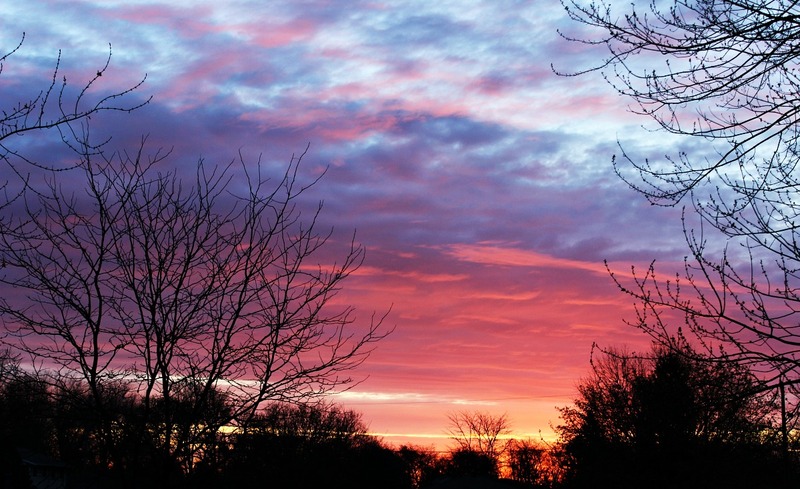 It is thought to refer to the season's falling leaves and fruit, and to nature's decline as winter approaches. Beginning in the 17th century, English-speaking emigrants took both words with them to the New World. In North America, fall became the more common word, while autumn gained the upper hand in Britain, as well as in Australia and New Zealand. 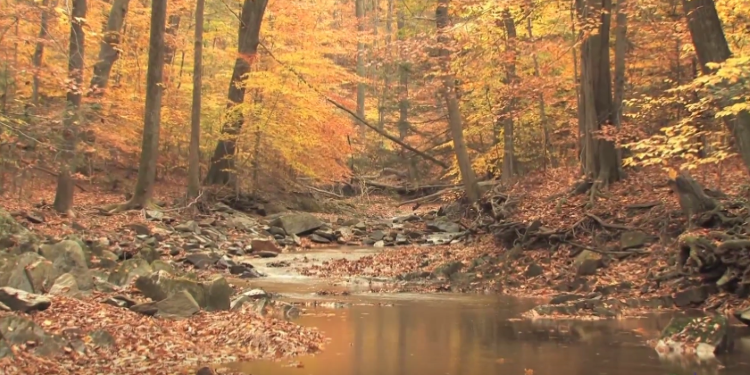 In general, then, Americans usually say fall, while the British say autumn—and Canadians say both. How do we choose which word to use? Here are some guidelines. 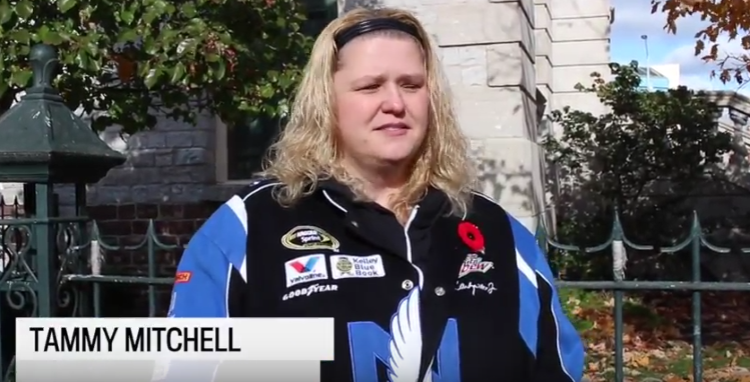 For most Canadians, fall is the informal, everyday choice. Use fall when speaking—autumn seems overly formal and a bit pretentious in most everyday contexts. In writing, both autumn and fall are correct. But when we need a more formal word (or one with two syllables), we speak and write about autumn. 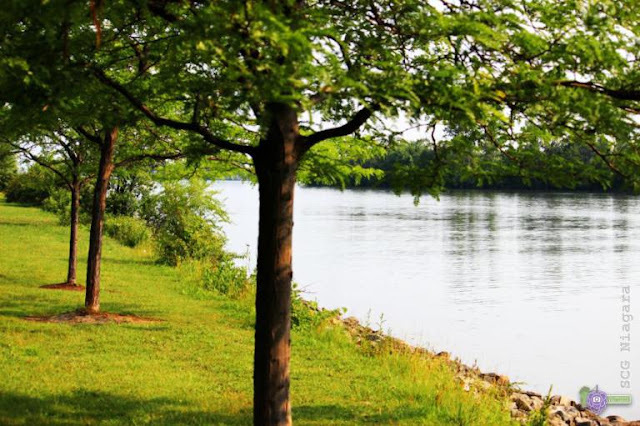 So we read they have shipped the first of 500 geese out of Port Dalhousie to an area called Amherstburg near Windsor, Ontario, you know, to curb the influx of aggressive birds at parks and the abundant feces that goes along with them. Anyone who's ever visited Jaycee Park can totally relate to this. As noisy as they are and as dirty as they can be, we'll miss them... we think. In this case, the birds are being relocated hundreds of kilometres away near Windsor in an effort to change their migratory patterns. 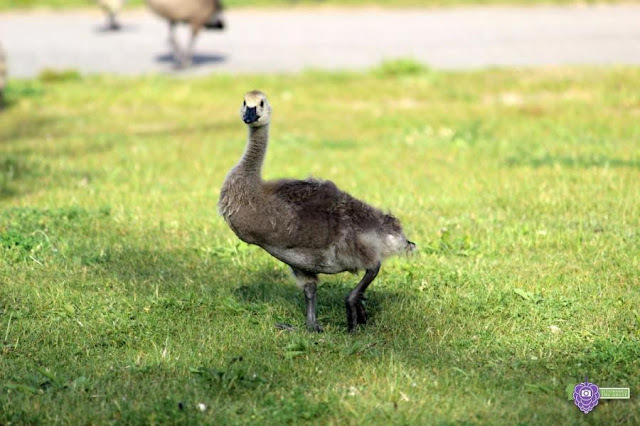 City horticultural technician Mike Anderson said even if the geese do return, it will be after they regrow their wings in August and September. 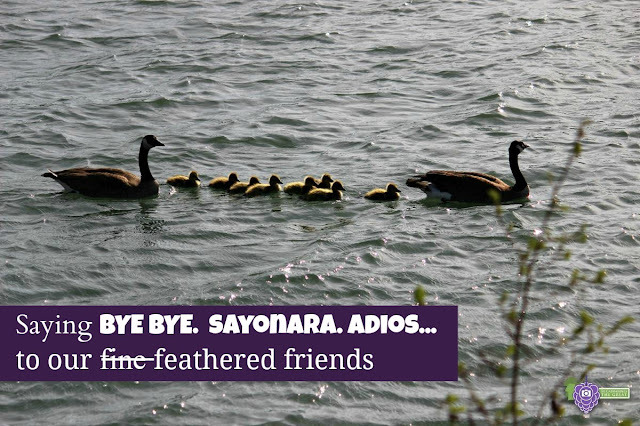 “By that time, they’re quite welcome to come back,” he said, explaining most activities that result in interactions between humans and geese are already over by then. “We’re really relocating them for July and August, which are the very busy times down in those parks in the watershed.” St. Catharines council voted in July 2015 to apply for a permit to send the geese packing, after years of trying to combat a growing geese population. Complaints about sticky, slippery messes along paths and parks in Port Dalhousie and on Welland Canals Parkway trails were numerous. 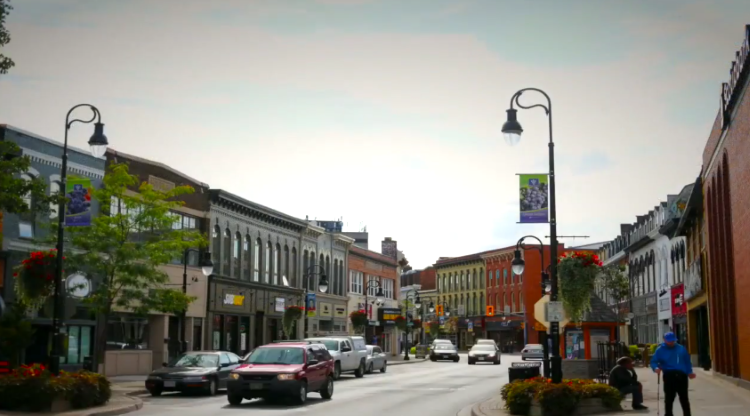 Did you know there are 98 supermarkets in the Niagara region? Thanks to a recently created website, Niagara Open Data, I was able to look this up quickly. The site contains tons of info to put, as it states, data in the hands of the people. From the chart below, one can see at a quick glance how many supermarkets are in the Niagara region. 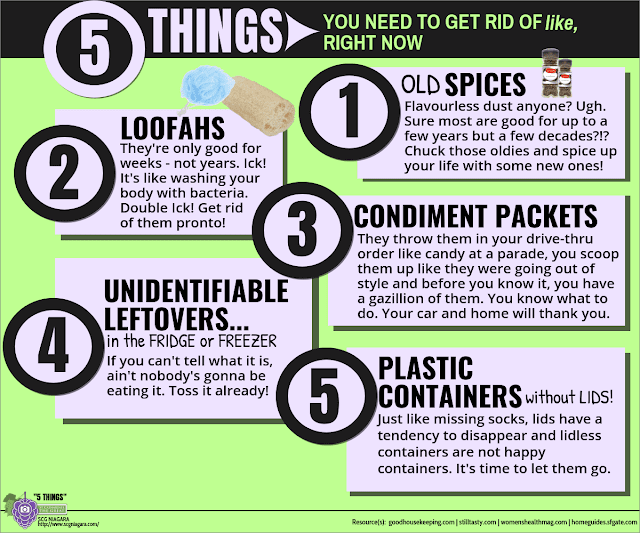 The list itself was compiled from data provided by Public Health, maintained for inspection purposes. We visited the Malcolsom Eco Park in St. Catharines back in May 2015 – what a treat! 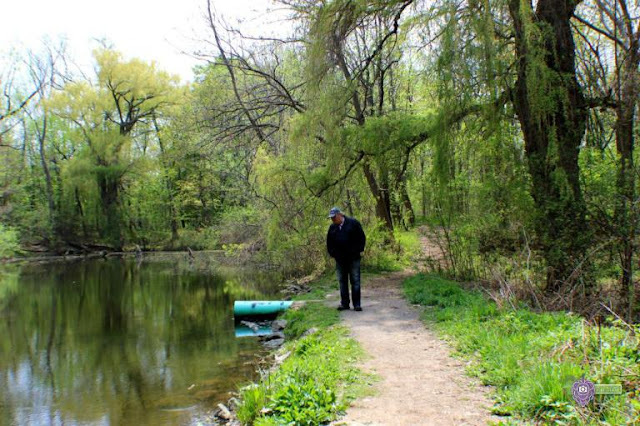 We captured these actual background noises while filming by this small pond in the park. 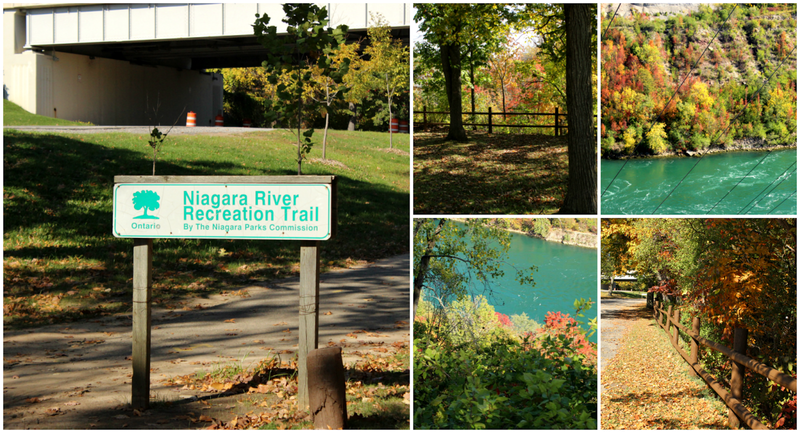 Malcolmson Park is located on the north side of Lakeshore Road at Niagara Street. It is adjacent to the Welland Canal at Lock One. 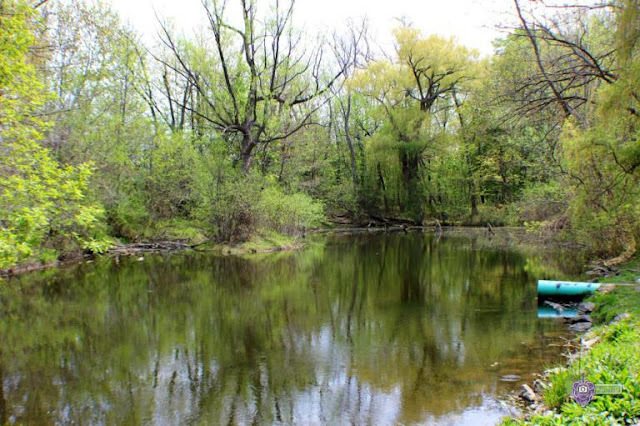 This unique park offers residents with an opportunity to explore and learn about our native flora and fauna. 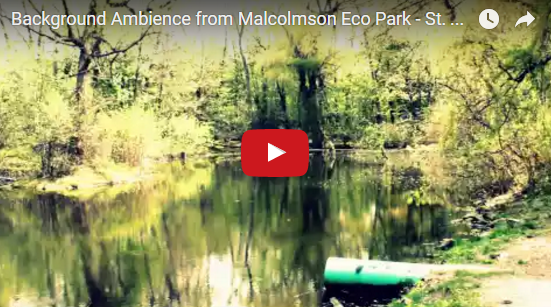 It contains the Malcolmson Eco Park and nature trails. The Welland Canal Parkway Trail and the Waterfront Trail both travel through this park. The park is located in the Grantham Ward. This park is 14.4 hectares.